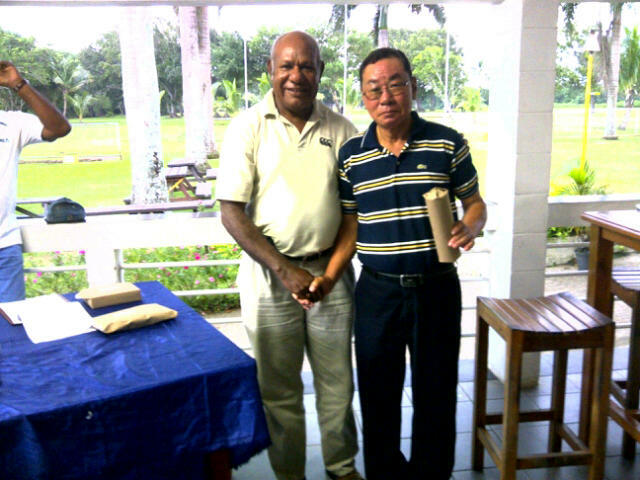 It was another fine weather for another record of one hundred and twenty three golfers, who turned up at Vatuwaqa on Saturday to play in a monthly golf tournament. The event was jointly sponsored by Shipping Services Ltd. and Delta Marketing Ltd. It was Satya Nand Prasad, who had scored 69 net to win a monthly medal prize in A grade. The second prize in the grade was won by V K Pillai, 70 net on countback from Ravinesh Goundar, who collected a third prize. Richard Wilson, 67 net won the B grade monthly medal, while Sanjeshwar Ram, 70 net won the second prize also on countback from Sitiveni Rabuka who won the third prize. The C grade monthly medal winner was Vijeshwar Datt, 60 net while Apenisa Vata, 66 net won the second prize on countback from William Parkinson who collected the third prize in the grade. 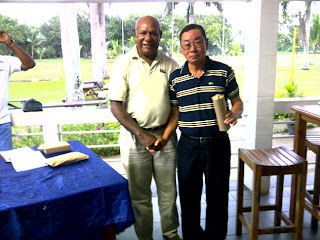 Sam Wong, who scored 78 off the stick won the best overall gross prize in the tournament, while S H Park won a special prize for an ace (hole-in-one) on the twelfth hole. It was an all-Korean affair in the Ladies' category. Eun H Shin and Ceyen Kim won first and second prizes, respectively in the ladies' category. 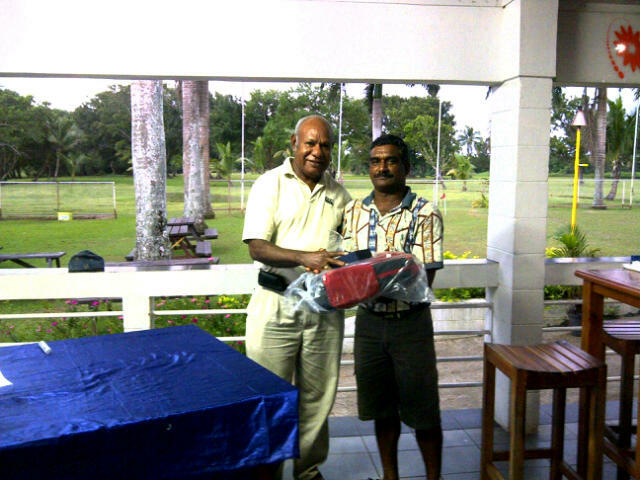 The nearest-to-pin (NTP) prize for the second hole was won by Viliame Rauluni. Fiji Golf Club would like to thank the sponsors of the August monthly medal, Shipping Services Ltd. and Delta Marketing Ltd. for the generous sponsorship.